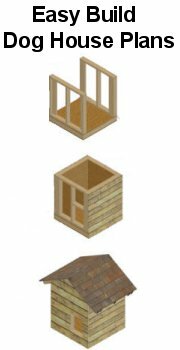 Go green and build a wood dog house using recycled materials and one of these free dog house plans. Not only will you be saving money, but you will be helping the Earth. Keep your small dog happy all summer long with this easy to build air conditioned dog house. The dog house has two openings one for the dog and the other for easy maintenance on the air condition unit. Plan has a rough drawing and written instructions. This dog house takes little time and money to create. The entry has an additional wall to help keep your pet out of cold winter winds and other unpleasant outdoor elements. Here is a simple design for a strong and sturdy dog house. With a dog house that is off the ground you don’t need to be concerned about the floor rotting out due to ground moisture. Help keep your dogs dog house warm and dry by following these simple instructions and video for an elevated dog house with ramp. Here is a plan for a simple dog house made out of pine wood. 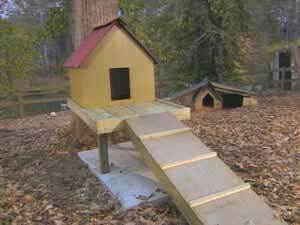 Once built this dog house can house a small, medium or large dog. If you are on a tight budget but need a good dog house for your best friend then look no further. 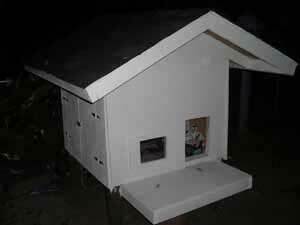 Here is a project for a dog house that is solar heated. 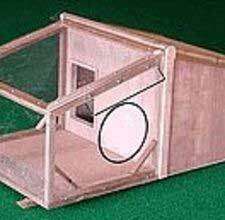 With the use of Plexiglas and other materials you can easily build a warm and comfy home for the family pet. This plan also comes with great tips and warnings. This dog house has a wooden floor, cooper frame, canvas walls and roof. 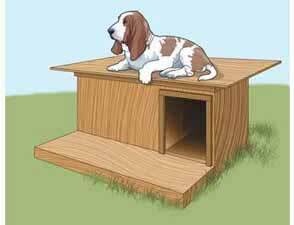 These easy to follow instructions along with pictures will help you make a really great dog house. Build your dog a unique dog house that resembles a small tent. Using these detailed instructions you can build a spacious dog house. This ranch style dog house is perfect for a large or medium sized dog. 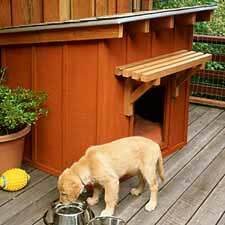 Not only will this roomy house keep your pup warm and dry it will also add to your backyards decor with its rugged good looks.